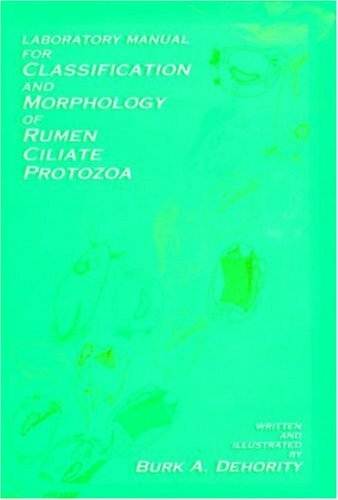 Laboratory Manual for Classification and Morphology of Rumen Ciliate Protozoa is a unique lab guide for learning how to count and identify rumen protozoa. In this guide, Professor Dehority has created line drawings of rumen protozoa that emphasize morphological features and size measurements. The book also provides keys for identifying genera and species, and it contains classifications and descriptions of the different orders and families of rumen ciliate protozoa. Procedures for counting rumen protozoa and identifying individual species are included as well. Laboratory Manual for Classification and Morphology of Rumen Ciliate Protozoa will be an excellent identification guide for protozoologists, microbiologists, dairy scientists, and any researcher or student working with rumen protozoa.